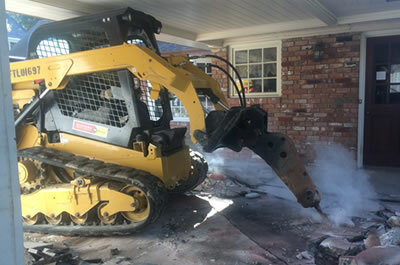 Concrete removal is all but impossible without the right tools. And we’ve got the right tools here at JRP Services. We own, or have access to, the right machinery that’s necessary to drill and destroy your concrete structure. As always, we take care of all of the cleanup as well; so the job is really done when the job is done. We’ll haul away all scrap concrete we take out, and we’ll dispose of it properly. The demolition professionals at JRP Services consistently go the extra mile to provide the very best customer experience in Houston, TX. When you choose JRP Services, you can expect the very highest levels of quality and service. Whether your project is extensive or small, we promise to give it our full attention until it’s complete. Contact us today for quality concrete removal services you can count on! Is It Time to Demolish Your Driveway?